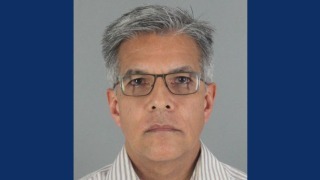 A former band teacher at a Burlingame high school was arrested Wednesday on suspicion of sexual assault of a student in 2008 and 2009, police said. Ken Crowell, 58, of Redwood City, was booked into San Mateo County Jail on multiple charges. He was the director of the Mills High School band when the assaults occurred, according to the Burlingame Police Department, and the victim was a Mills High student. The San Mateo Union High School District issued a statement Wednesday saying it is extremely troubled by the alleged assault and that the district is cooperating with the Burlingame police investigation. "The emotional and physical safety of our students is paramount to the entire SMUHSD community," the statement said. "We have and will continue to do everything within our power to protect our young people from harm." The district also said it encourages any student, family or staff member with information about the case to contact Lt. Jay Kiely of the Burlingame Police Department at 650-777-4151.